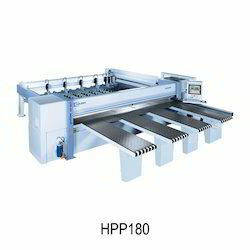 Leading Wholesale Trader of homag cnc automatic beam saw and homag manual beam saw from Mumbai. 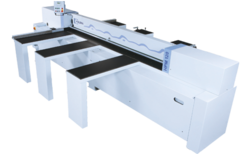 The HOMAG CNC Automatic Beam Saw has got everything – the basic features alone are convincing enough. Whether precision measuring system, intuitive controller or ingenious patent – a HOLZMA saw has what it takes. The components used are extremely strong, ensuring a long lifecycle for the saw, even in full-scale continuous operation. The HPP 180 permits high material throughput in the shortest of times whilst maintaining first-class cutting quality and precision. High Quality: In HPM 120 are used only high-quality components from renowned suppliers. Accuracy: Know-how and technology German machine construction. Confiability: 40 years of experience HOLZMA the world leader in manufacturing of disconnectors. The HPM 120 is manufactured by HOMAG Machinery São Paulo in Brazil, with marketing and technical services performed by HOMAG South America. This makes services such as assembly, service and purchase spare parts are fast and efficient. The machine base Robust construction of the machine base, with monoblock table attached to columns of the machine, sinkers on the floor. Prensor the two pressure areas, machined directly in the line of cut reduce vibrations to a minimum, thus ensuring a high quality trimming. The narrow opening at the bottom of prensor ensures an aspiration efficient. Two fi tas rubber for long life prensor to protect the surface of the materials. The ends of the shields prensor ensure operator safety. Emergency rule on both sides prensor increase the segurançate. The saw carriage Saw carriage in robust construction, composed of hills and mountains primary riscadora. Plumb line on the floor, guarantees stability of tables. Easy exchange of the surfaces of tables em when worn. Tables to support large deposit cut the sheets.